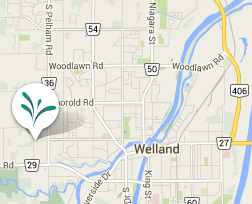 WellSpring Community Church has been in existence in Welland since 1985. We were originally founded as Jubilee Worship Centre. We are a Bible believing church that holds community and connectedness as high values. We also believe it’s important to provide an environment that fosters process and spiritual growth rather than just rules and their enforcement. Our format and layout are somewhat unique for a church. Our meetings take place around tables rather than rows of chairs. This creates a more relaxed atmosphere as well as a more familiar and friendly environment. You can bring your coffee with you or some is served before service and during our break at mid-service. Our music is contemporary with a bit of a rock edge to it. We believe that there is only one God, eternally existent, all-powerful, and all-knowing. He exists in uniquely as Father, Son (Jesus Christ), and Holy Spirit – three in one but only one. We believe the Holy Bible is God-inspired text and is our compass and guideline for faith and living. We believe the world is broken because of sin – falling short of God’s standard. As a result, every person is in a place of need for redemption. We believe Jesus Christ came to bring redemption by being a sacrifice on our behalf. We believe that Jesus rose again on the third day and is seated at the right hand of the Father. We believe that through faith in Jesus we can receive the forgiveness of sins and be restored to right standing with God. We believe that our faith is expressed in choosing to live a new life guided by God’s Word and the Holy Spirit. We believe that the Holy Spirit resides in and empowers believers to live godly lives. We believe that Jesus has established spiritual community, known as the church, where people journey together spiritually in relationship. We believe that this life is only a small temporary part of our eternal existence. We believe that Jesus will return to restore the world to its original design and that all those who have believed in and followed Him will live forever with Him. Does this bring the life of Jesus to people? Does this build bridges of connection and relationship? Does this strengthen community in our church and our city? These three points help assure that what we do is always part of who we are called to be. The three main ways we accomplish this is by encountering God, growing together, and serving others. These take place in Sunday mornings gatherings, in small groups and in both opportunities to serve inside and outside the church community. The Holy Bible, and only the Bible, is the authoritative Word of God. It alone is the final authority in determining all doctrinal truths and is the rule of faith and practise. In its original writing, it is inspired, infallible and inerrant (II Timothy 3:16; II Peter 1:20-21; Proverbs 30:5; Romans 16:25-26). GOD: There is one God, eternally existent in three persons: Father, Son and Holy Spirit. These three are coequal, co-eternal and one in substance (I John 5:7; Genesis 1:26; Matthew 3:16-17, 28:19; Luke 1:35; Isaiah 9:6; Hebrews 3:7-11). JESUS CHRIST: Jesus Christ is God the Son, the second person of the Trinity. On earth, Jesus was 100% God and 100% man. He is the only man ever to have lived a sinless life. He was born of a virgin, lived a sinless life, performed miracles, died on the cross for mankind and thus, paid for our sins through the shedding of His blood. He rose from the dead on the third day according to the Scriptures, ascended to the right hand of the Father, and will return again in power and glory. (John 1:1,14, 20:28; Matthew 1:18, 25; I Timothy 3:16; Isaiah 9:6; Philippians 2:5-6; I Timothy 2:5). RESURRECTION: Jesus Christ was physically resurrected from the dead in a glorified body three days after His death on the cross. In addition, both the saved and the lost will be resurrected; they that are saved to the resurrection of life and they that are lost to the resurrection of eternal damnation (Luke 24:16, 36, 39; John 2:19-21, 20:26-28, 21:4; Acts 24:15; 1 Corinthians 15:42, 44; Philippians 1:21-23, 3:21). SECOND COMING: Jesus Christ will physically and visibly return to earth for the second time to establish His kingdom. This will occur at a date undisclosed by the Scriptures (Matthew 24:30, 26:63-64; Acts 1:9-11; I Thessalonians 4:15-17; II Thessalonians 1:7-8; Revelation 1:7). REPENTANCE: Repentance is the commitment to turn away from sin in every area of our lives and to follow Christ, which allows us to receive His redemption and to be regenerated by the Holy Spirit. Thus, through repentance we receive forgiveness of sins and appropriate salvation (Acts 2:21; 3:19; I John 1:9). SALVATION: We are saved by grace through faith in Jesus Christ; His death, burial and resurrection. Salvation is a gift from God, not a result of our good works or of any human efforts (Ephesians 2:8-9; Galatians 2:16, 3:8; Titus 3:5; Romans 10:9-10; Acts 16:31; Hebrews 9:22). SANCTIFICATION: Sanctification is the ongoing process of yielding to God’s Word and His Spirit in order to complete the development of Christ’s character in us. It is through the present ministry of the Holy Spirit and the Word of God that the Christian is enabled to live a godly life (I Thessalonians 4:3, 5:23; II Corinthians 3:18, 6:14-18; II Thessalonians 2:1-3; Romans 8:29, 12:1-2; Hebrews 2:11). JESUS CHRIST INDWELLS ALL BELIEVERS: Christians are people who have invited the Lord Jesus Christ to come and live inside them by His Holy Spirit. They relinquish the authority of their lives over to Him, thus making Jesus the Lord of their life as well as Saviour. They put their trust in what Jesus accomplished for them when He died, was buried, and rose again from the dead (John 1:12; John 14:17,23; John 15:4; Romans 8:11; Revelations 3:20). BAPTISM IN THE HOLY SPIRIT: Given at Pentecost, it is the promise of the Father, sent by Jesus after His ascension, to empower the Church to preach the gospel throughout the whole earth (Joel 2:28-29; Matthew 3:11; Mark 15:17; Acts 1:5, 2:1-4, 17, 38-39, 8:14-17, 10:38, 44-47, 11:15-17, 19:1-6). THE GIFTS OF THE HOLY SPIRIT: The Holy Spirit is manifested through a variety of spiritual gifts to build and sanctify the church, demonstrate the validity of the resurrection, and confirm the power of the gospel. The Bible lists of these gifts are not necessarily exhaustive, and the gifts may occur in various combinations. All believers are commanded to earnestly desire the expression of the gifts in their lives. These gifts always operate in harmony with the Scriptures and should never be used in violation of biblical parameters. (Hebrews 2:4; Romans 1:11, 12:4-8; Ephesians 4:16; II Timothy 1:5-16, 4:14; I Corinthians 12:1-31, 14:1-40; 1 Peter 4:10). HEALING OF THE SICK: Healing of the sick is illustrated in the life and ministry of Jesus, and included in the commission of Jesus to His disciples. It is given as a sign, which is to follow believers. It is also a part of Jesus’ work on the cross and one of the gifts of the Spirit. (Psalm 103:2-3; Isaiah 53:5; Matthew 8:16-17; Mark 16:17-18; Acts 8:6-7; James 5:14-16; I Corinthians 12:9, 28; Romans 11:29). GOD’S WILL FOR PROVISION: It is the Father’s will for believers to become whole, healthy and successful in all areas of life. But because of the fall, many may not receive the full benefits of God’s will while on earth. That fact, though, should never prevent all believers from seeking the full benefits of Christ’s provision in order to better serve others. Mental and emotional (II Timothy 1:7, 2:11; Philippians 4:7-8; Romans 112:2; Isaiah 26:3). Physical (Isaiah 53:4,5; Matthew 8:17; 1 Peter 2:24). Financial (Joshua 1:8; Malachi 3:10-11; Luke 6:38; II Corinthians 9:6-10; Deuteronomy 28:1-44; Psalm 34:10, 84:11; Philippians 4:19). THE CHURCH: The church is the body of Christ, the habitation of God through the Spirit, with divine appointments for the fulfillment of Jesus’ great commission. Every person who is born of the Spirit is an integral part of the church as a member of the body of believers. There is a spiritual unity of all believers in our Lord Jesus Christ. (Ephesians 1:22, 2:19-22; Hebrews 12:23; John 17:11, 20-23). Water Baptism: Following faith in the Lord Jesus Christ, the new convert is commanded by the Word of God to be baptized in water in the name of the Father and of the Son and of the Holy Spirit (Matthew 28:19; Acts 2:38). The Lord’s Supper: A unique time of communion in the presence of God when the elements of bread and grape juice (representing the body and blood of the Lord Jesus Christ) are taken in remembrance of Jesus’ sacrifice on the cross (Matthew 26:26-29; Mark 16:16; Acts 8:12, 36-38; 10:47-48; I Corinthians 10:16, 11:23-25). HEAVEN: Heaven is the literal dwelling for all believers in the Gospel of Jesus Christ until Jesus establishes a new heaven and earth (Matthew 5:3, 12, 20, 6:20, 19:21, 25:34; John 17:24; II Corinthians 5:1; Hebrews 11:16; 1 Peter 1:4; II Peter 3:10; Revelation 21:1-8). HELL: After living one life on earth, those who have not believed in and followed Jesus Christ will be judged by God and sent to hell where they will be eternally tormented with the devil and the fallen angels (Matthew 25:41; Mark 9:43-48; John 3:18; Hebrews 9:27; Revelation 14:9-11, 20:12-15, 21:8). FAMILY RELATIONSHIPS: We believe that God’s plan for the family is that of one man and one woman married before God, and having children. Marriage can only be, according to The Bible (see Genesis 2:23-25; Mathew 19:4-6), which is our only, sole, and final source of authority, between one man and one woman; marriage cannot be between two men or two women (or any other permutation or combination). DIVORCE AND REMARRIAGE: We believe that marriage is a life-long commitment, and that God hates divorce. We believe that, in extraordinary circumstances, and as a last resort, Scripture does provide grounds for divorce. These grounds include unrepentant adultery of one of the spouses, continued and unrepentant serious physical or emotional cruelty by one spouse to another, abandonment or desertion, where an unsaved spouse is not pleased to dwell with the other spouse, and one spouse falling away from God. (Matt. 9:19; 1 Cor. 7:11, 15; Mal. 2:16; Matt. church of which he is a part. In addition, we believe that, on top of the tithe, The Bible instructs Christians to give from that which is their own (offerings) sacrificially and cheerfully to the support of the church, the relief of those in need, and the spread of the Gospel. We believe that, further, we are to give of not only our financial resources, but also freely of our time, our talents and skills, our labour, all for the work of the ministry and for the furtherance of the Gospel, as part of our covenant with each other and with the local church.